Umbria’s variety of landscapes offers endless possibilities for any kind of cyclist, from experts to beginners and Sunday riders. 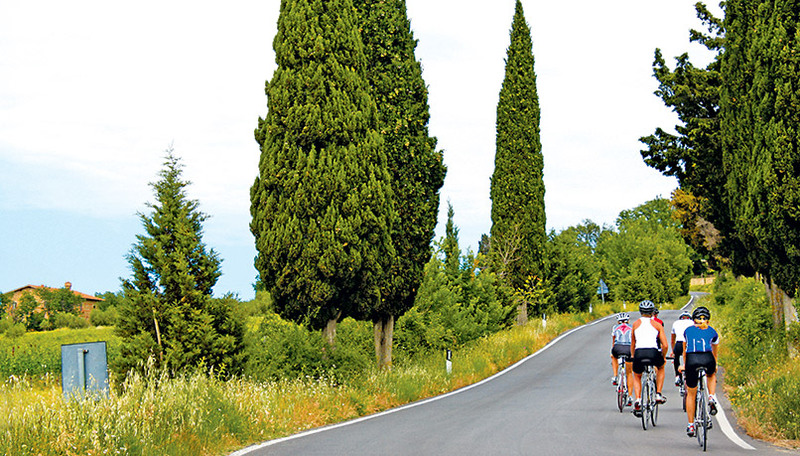 Around the three lakes near your apartment – Trasimeno, Chiusi & Montepulciano – are many cycling tracks and itineraries ranging from just a few hours to overnight stays. Riding through the natural beauty and landscapes of Umbria – the mountains, hills, lakes and rivers – you’ll enjoy the genuine atmosphere, the smiling welcomes of the local people and the historical and artistic treasures along the way together with the chance to indulge in the gastronomic delights of the area. Nearer to the apartment are many white roads (gravel surface) affording delightful countryside rides and 60 kilometres of cycle and walking paths along the Sentiero di Bonifico, a series of paths running alongside irrigation canals that skirt both Chiusi and Montepulciano Lakes and travel as far as Arezzo. The trail, often close to the Lake, alternates sealed and dirt surfaces across the plain between Castiglione and Cortona before returning along the Trasimeno cycling track, which runs just a few metres from the lake through dense vegetation with many wooden bridges. 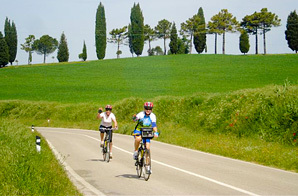 The route starts from Passignano and goes through the thick woods on the hills above lake Trasimeno to the north. 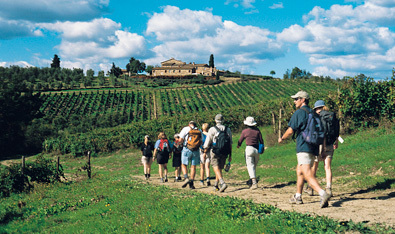 The most difficult part is the climb up to Valico Gosparini and the slopes of Monte Castiglione. This is where the most beautiful part of the trail starts, through thick woods and with wonderful views of the lake and surrounding valleys There are no really steep grades, but the distance and height difference make it a trail for more experienced cyclists. Lake Trasimeno has a circumference of almost 45 km, making it the largest lake in central Italy and the 4th largest in all of Italy. 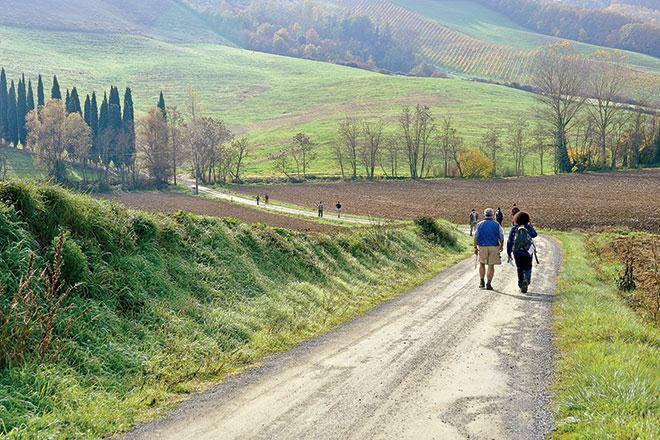 Sitting on the border between Umbria and Tuscany, it’s steeped in history. It was on its shores in the Tuoro area in the spring of 217 BC, that the bloody Battle of Trasimene took place with Hannibal defeating the Romans, Many soldiers lost their lives that day and a field with descriptive plaques can be found in an area known as Sanguinetto, from the Italian word for blood, sangue. It is well worth a visit. The hills surrounding the lake make for a breathtaking landscape of extraordinary beauty at any time of year and are dotted with olive groves and vineyards which in turn produce olive oil and wines of excellent quality. The hills also have woods and many a medieval village to visit. The entire area is ideal for hiking all levels and even Nordic Walking, with trails and paths that criss-cross the gently rolling hills. Skirting around Lake Trasimeno there is a 62 km path that offers all levels of walks from a gentle stroll to a serious hike. Local to the apartments are many walks either along the white (gravel) roads that crisscross the countryside, or along the Senteiro di Bonifico which skirts Chiusi and Montepulciano Lakes and travels alongside the canal as far as Arezzo, all providing delightful views of the countryside and its wildlife. Lake Trasimeno is also an ideal place for bird watchers, as many migrating flocks stop here. Along the shoreline you can spot a wide range of water fowl and at the protected ‘La Valle’ Oasis near San Feliciano, its cane thickets are home to many species and its wetlands that boast a wide range of wildlife, from fish to amphibians, reptiles, mammals and birds. In winter, all around the Lake there is an increase in birds from northern Europe, overwintering in our milder climate. Among the medium to large sized birds most represented are the coot (Fulica atra), various ducks – in particular the wigeon (Anas penelope), pochard (Aythya ferina), teal (Anas crecca), shoveller (Anas clypeata) and mallard (Anas platyrhynchos): the cormorant (Phalacrocorax carbo) and the great crested grebe (Podiceps cristatus). Large flocks of coots, which form characteristic black ‘islands’ on the water visible from a great distance are made ​​up of thousands of individual birds, feeding on the vast prairies of submerged aquatic plants. 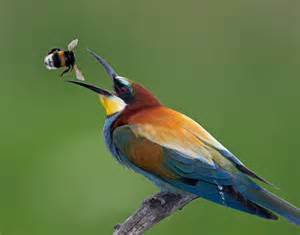 Spring sees the arrival of migratory species from Africa, who comes to nest here, and even various species of herons can be spotted! Nearer still is the oasis di Lago Montepulciano, a nature reserve of some 1200 acres home to many species of fish including carp, perch , eel & tench plus varied bird life – Loons, Coots, Grebes, Marsh Hawks, Herons and many others. 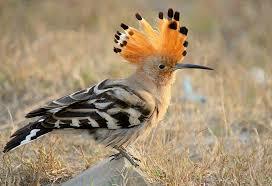 From the back of my house you can often see Falcons gliding on the air currents, Egrets following the tractors, woodpeckers, Bee-eaters, goldfinches and the showy but shy Hoopoe.